International Book Giving Day… on Valentine’s Day! What day is February 14th? It’s International Book Giving Day, silly! Actually, this was news to me and probably is to you, too, but hey, what better way to honor your little Valentine than to give them a book? Roses are red, violets are blue, chocolate makes you hyper but this book is for you! 1. Give a Book to a Friend or Relative. Celebrate International Book Giving Day by giving a child a new, used or borrowed book. 2. Leave a Book in a Waiting Room or Lobby. Choose a waiting room where kids are stuck waiting and there are few to no good books available. Purchase a good book, and deposit your book covertly or overtly in your waiting room of choice. 3. Donate a Book. Wrap up a box of children’s books that your kids have outgrown and get them in the hands of children who could really use a book or two. Donate your books to your local second hand store, library, children’s hospital, or shelter. Alternatively, donate your books to an organization working internationally to get books in the hands of kids, such as Books for Africa. 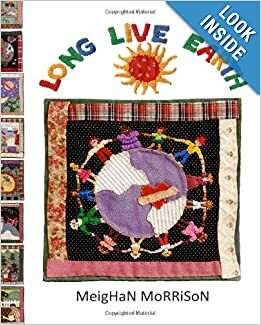 Click here to gift a copy of Long Live Earth – have a happy Valentine’s/International Book Giving Day! I am a jellyfish. That explains a lot. I went to the aquarium yesterday because my niece is in town. I am not huge on aquariums. I know that is a terrible thing to say because nobody likes an aquarium hater. After all, the fish are obviously well cared for in their huge, gleaming, impressively realistic tank homes. I guess it’s just a bit hard to believe that they are actually buying that whole set up. Or maybe it’s the funky lighting. Regardless, it never takes long before my lower back starts to ache, I am famished, parched, I have to go to the bathroom, my feet hurt and I am wondering why our tickets should have to cost more than the average health insurance co-pay. But then I get to the jellyfish tank. And here, at the jellyfish tank, I am mesmerized. I am literally glued to the glass. I don’t ever want to leave this place. All those bobbing, dangling blobs seem almost cultish. And I’m pretty sure they are beckoning to me. I don’t just watch the jellyfish at the aquarium. I actually feel that I am a jellyfish at the aquarium. Jeez, are they brainwashing me? Am I actually turning into a jellyfish? I mean, if left for two minutes in their silent but echoing company I become a weightless, worryless, goalless, harmless, timeless coagulation of flotsam and jetsam (or whatever) effortlessly drifting and dipping though the portals of time and space. I can actually feel my blood pressure dropping. In fact, I don’t think I have any blood pressure at the jellyfish tank. This morning I googled “jellyfish” in anticipation of writing a little ditty on what I used to think of as a weird, aquatic anomaly of mine… only to discover this breaking news: I am a jelly fish. Which kind of explains everything. Or at least I was. In fact, scientists are now placing bets that all life descended from the jelly fish. Albeit we’ve advanced a bit. Jellyfish still don’t don’t have brains, lungs, hearts or plenty of other things that tend to cause humans a fair amount of angst. But boy do those guys know how to relax. So before you head out for the aquarium take your over-evolved brain along to National Geographic and read the whole facsinating story: “Was Your Ancestor a Ball of Jelly? Evolution Study Surprises Experts”.